One of the oldest ways to fertilize crops was “slash and burn” agriculture, where tropical forests are intentionally leveled and burned to create open space and nutrients for crops. This month’s innovation turns this practice upside down to access a waste product from the pulp wood industry as a fertilizer for cotton. Coley Bailey in Coffeeville, Mississippi, has perfected a system to sustainably utilize the wood ash from a local pulp mill to supply his cotton with lime, potassium, and phosphorus – while keeping his dryland cotton fields in no-till. Cotton Production Innovation: Low Cost Fertilizer from Wood Ash. Use your own employees to truck and dump the material to ensure each field gets delivered the right amount, and adjust the application rate by the tractor speed not the sliding gate which is difficult to calibrate with wet material. Coley uses a wheel loader for both round modules and wood ash, utilizing his employees and equipment year round. Test the soil frequently to verify its lime requirement and avoid depletion or buildup of any nutrient. 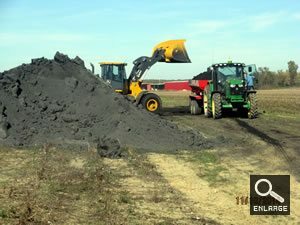 This is actually a requirement from the State of Mississippi for the permit to dispose of wood ash, but also allows fine tuning the rate based on soil needs. On average the fields get 4 tons per acre per year, but rates are bumped up or down to match soil needs and crop withdrawal. Test the wood ash for beneficial nutrients and harmful chemicals. Wood ash is a byproduct of energy generation when pulp mills burn the bark. Since plant carbon is lost as carbon dioxide (CO2) during the burning process, the stable nutrients, potassium (K) and phosphate (P04) become more concentrated in the wood ash. However, unstable nutrients, such as nitrogen (N) which are readily converted to various gases, actually drop in concentration with greater intensity of bark incineration. Since nitrogen from plant material is predominately in the amine form (NH2-carbon molecule, for example in protein) N can undergo many different chemical transformations in both furnaces and soils, most of which can lead to losses in the water or air. So nitrogen’s final content or even movement is extremely difficult to predict and Coley doesn’t count on nitrogen from the wood ash. Potassium (K) deficiency is notorious during Mid-South droughts because K tends to accumulate in the surface soil where old burs and leaves release their high K levels. During drought, this K-rich surface is the first part of the soil to dry because of the higher root density. Since K is only absorbed by roots with water, droughts often lead to K deficiency. 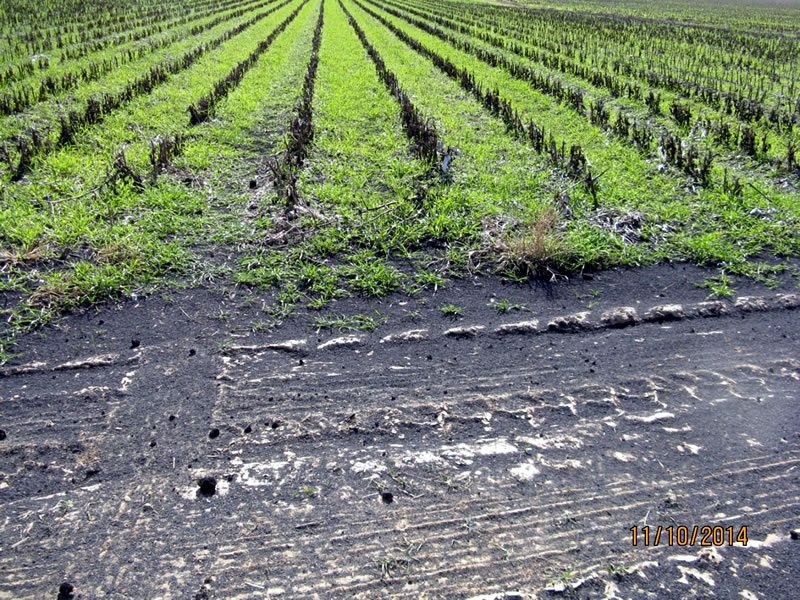 A surface application of wood ash in no-till cotton should make this K challenge worse – but surprising is the movement of wood ash K into the soil profile (the second foot) and the lack of K deficiency in his dryland cotton fields. 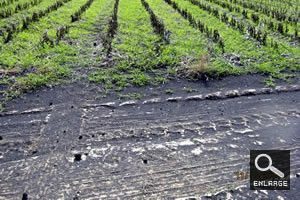 Coley attributes this to his long term use of no-till with a wheat cover crop where macro-pores from dead roots create “express lanes” for water and water-soluble nutrients to stream deeper into the soil. Coley turns a disposal problem for a local pulp mill into a custom fertilizer-lime product for the cost of hauling and spreading on his farm. And like all the other growers we have visited with in this series, he shares his cost-saving innovation and hard learned lessons to making it work on the farm. Although most cotton farmers don’t have pulp mills nearby, the strategy of looking for alternative sources of nutrients and lime – paired with the science and management to make them work – is applicable to every grower who is faced with low prices for their commodity and high prices for their purchased inputs. 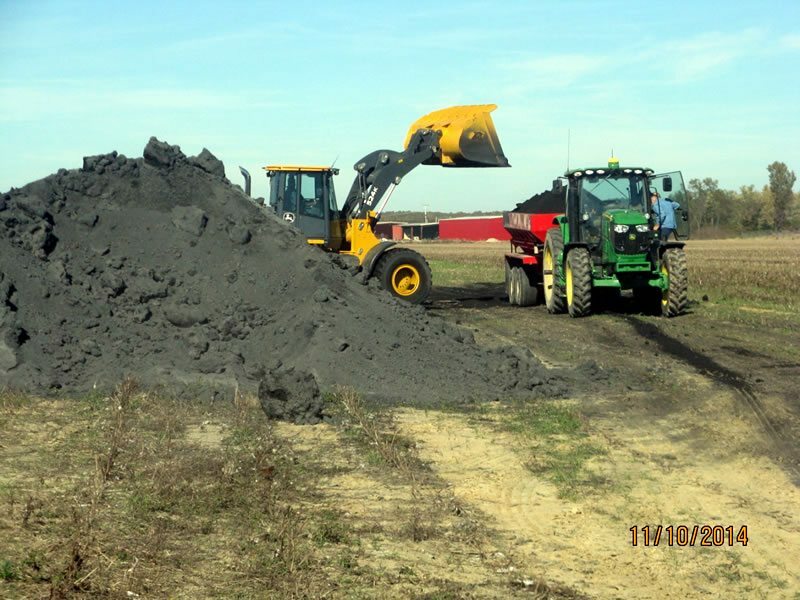 Whether it is wood ash, manure, your own fields gin trash, or gray water (see Spotlight with Doug Wilde) alternative fertilizer and lime sources require careful analysis and integration into current management practices.